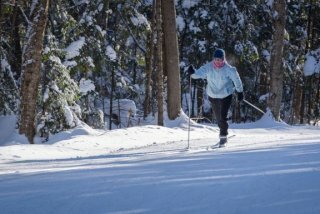 On January 18, we will host the Build Your Confidence on Cross Country Skis session. This active and fun afternoon will introduce you to ski gear and build your confidence moving on skis. A very supportive and fun atmosphere will guarantee smiles. Activities will engage a range of skills, so join us if you’re new to skiing or have some experience.